Identify and report on traffic patterns in your facility. Understand the path a visitor is most likely to take and identify opportunities to capitalize on the knowledge. The Path analysis feature captures this information allowing operations, marketing and all levels of an organization to make effective business decisions. 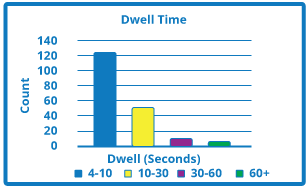 Dwell technology is used to identify and report where and for how long people are stopping in your facility. Gain valuable insight into your customers by knowing the time they spend in an area. 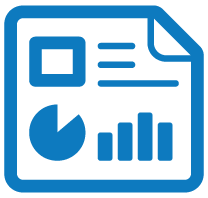 The Dwell Analysis feature captures this information allowing operations, marketing and all levels of an organization to make effective business decisions. 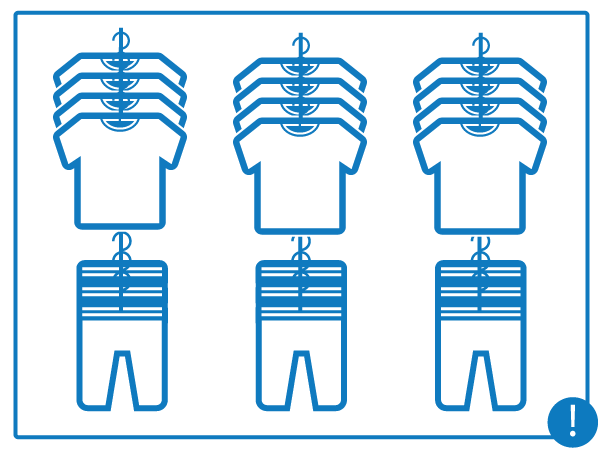 People Counting is used for customer traffic detection and analysis. The information People Counting allows operations, marketing and all levels of an organization to make effective business decisions. Expand this feature to incorporate additional variables such as POS transaction data to get more actionable business intelligence. Counting occurs in ClickIt Analytic Node as people cross the calibrated red logical counting line. ClickIt CMS reports on People Counts and POS activity to produce Conversion Rate. Efficiently align staffing levels to People Counts and alert when number of entries exceed threshold for a specific period of time. 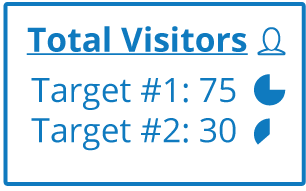 Monitor and report on the number of people standing in line waiting to be serviced near the Point-Of-Sale (POS), Customer Service counter or other locations within your store. Issue an alert to supervisor or manager when queue length exceeds predefined level. Actively monitor the amount of customers currently in line. Highlight certain merchandise fixtures and report on the frequency of times customers touch individual merchandise items. Designate specific merchandise fixtures that are of interest. 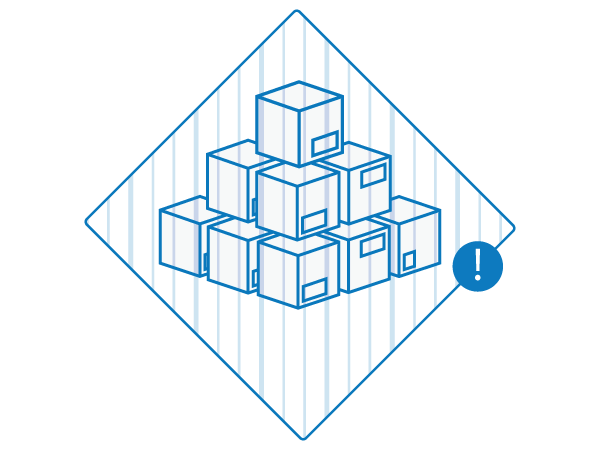 Receive reports and / or real time alerts should customers touch the designated merchandise. The Trip Zone feature captures unauthorized activities at your facility. Notification to the local authorities and/or central monitoring stations is performed in real-time. Highlight a specific area in your facility. Receive an alert in real time should this area become breached. Visualize customer traffic patterns with a Heat Map. Generate a color coded traffic map of the entire customer scene and identify areas with the greatest activity ("hot spots"). Incorporate Dwell Time reporting for greater business insight. Gather invaluable analytics from understanding where customers are going. Improve your vision! 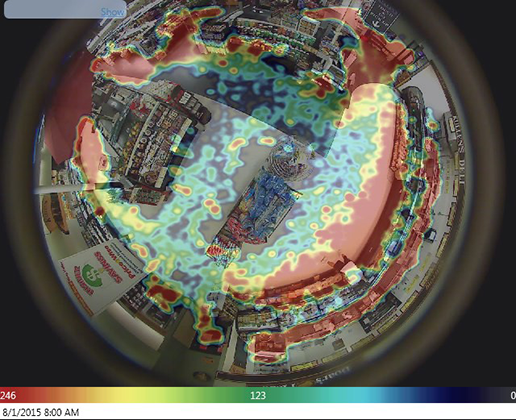 Video analytics can cover more area with a single camera and provide even greater understanding of customer behavior. 360° Cameras provide comphrehensive omnidirectional coverage.